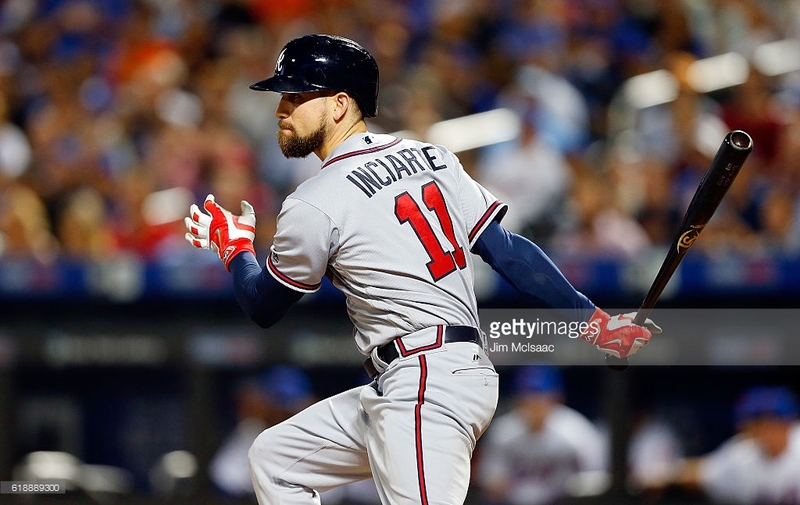 The Atlanta Braves have reached an agreement on a contact extension with outfielder Ender Inciarte. The deal, according to Jon Heyman is reported to be five-years and $30.525 million with an option for a sixth year. Breakdown of Inciarte deal with #Braves, per source: $3.5M signing bonus. Salaries of $2M, $4M, $5M, $7M, $8M; $9M option or $1.025 buyout. Inciarte was one of the players involved in the Shelby Miller trade with the Arizona Diamondbacks last season. He had a terrific 2016 hitting .291 with an OBP of .351. The Average was down a little from 2015, but his OBP was up. Inciarte also swiped 16 bases. The deal gives the Braves control over two of his free agents years according to MLBTradeRumors. Atlanta is trending in the right direction and have a decent group of young players that could make them good for many years. ← Previous Story Will Encarnacion Put The Tribe Over The Top?